Ovenclean Pricing - "Cheaper than a new oven!" Cleaning the oven has recently been voted the most hated chore, which is why you should let a professional oven cleaning company handle it for you! We can rejuvenate any oven, hob, extractor fan, microwave or barbecue with our ‘no added caustic’ system to get things sparkling clean. Ovenclean offer complete peace of mind that your oven will be cleaned professionally and conveniently using our unique cleaning system. Our specialists ensure minimal disturbance in the home and ‘no added caustic’ system products mean there will no nasty fumes and you can use your oven as soon as we’ve finished. The short answer is, it depends on the size of your oven and what other appliances you would like cleaning! 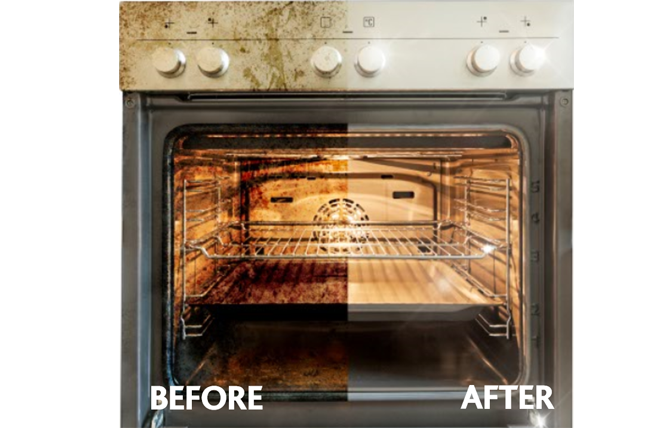 Our nationwide network of local oven cleaning experts will be able to provide you with a free no obligation quote based on your exact cleaning requirements, anything from your hob and extractor to your single integrated oven or Aga Range Cooker! For oven cleaning prices and availability in your area, just fill out the no obligation quotation form to find your local Ovenclean technician, they’ll be able to give you a callback and discuss your cleaning requirements so you have an exact price of an oven clean. To find out more answers to our most frequently asked questions, visit our FAQ page.